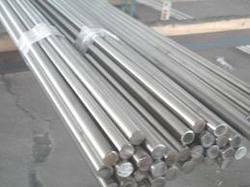 Alloy 80A is a nickel-chromium alloy similar to alloy 75 but made precipitation hardenable by additions of aluminium and titanium. Alloy 80A has good corrosion and oxidation resistance and high tensile and creep-rupture properties at temperatures to 815ºC (1500ºF). 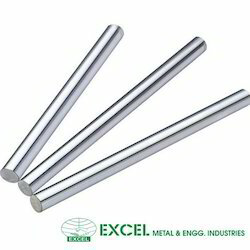 We stock, export and Supply Nimonic 75 in various shapes like sheets, strips, wires, rods, hex rods, square rods, angle, channel, tubes, pipes, fasteners & fabricated, casted and forged components etc. We bring forth a wide array of Nimonic scraps and finished goods. Nimonic alloys consist of more than 50% nickel and 20% chromium with additives such as titanium and aluminium. It has high stress-rupture strength and creep resistance at high temperatures(about 950°C) and is widely used and a well proven alloy in high temperature conditions.